If you look at the pic above you can see the list of devices from which I am able to stream files to my Oppo. The tv is the one in the middle. 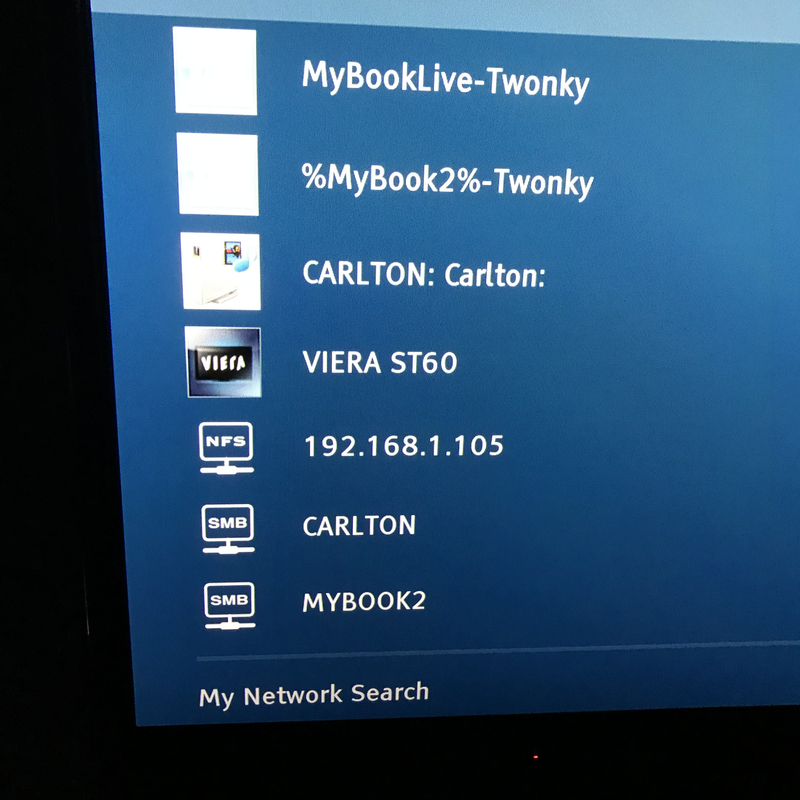 The three at the top are all DLNA (Digital Living Network Alliance) from my computer and two network back up hard drives. 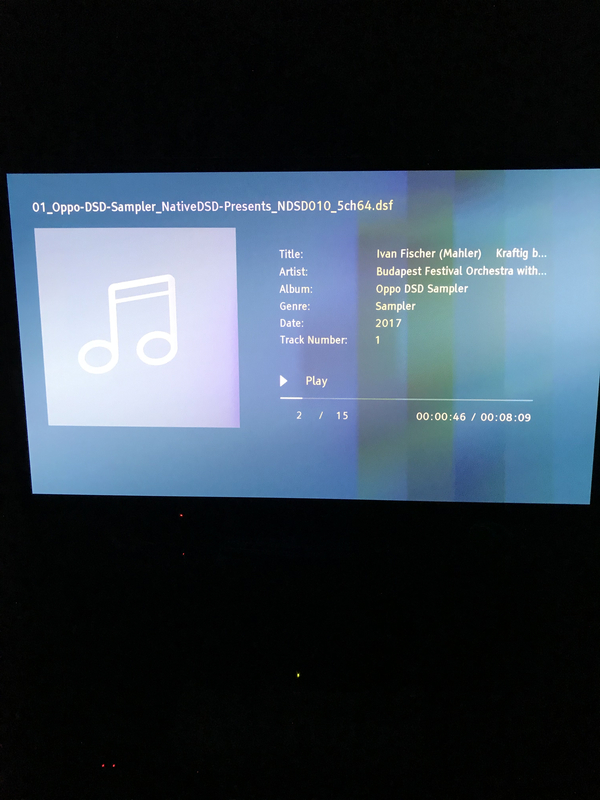 DLNA doesn’t recognize DSD files, so ifI try to access them using that. Even if I go into the folder I created for the DSD files, the folder would show as empty. The three at the bottom are all SMB from my computer and one of the network back up hard drives. One of them has gone south on me, so I had to get another one. When it began acting up, first it disappeared from my computers list of network devices. Then the SMB capability disappeared from the Oppo’s menu. It took a while to figure out what was going on and I reached out to Microsoft about it thinking it was a problem with Windows. When that went nowhere I reached out to Western Digital. They sent me a series of links to Microsoft pages dealing with the issue and from there I discovered the latest versions of Windows 10 come with the SMB capability turned off by default and how to turn it on. This did not work and after trying each and everything that the good folks from Western Digital sent to me, they arranged a phone call with me and I had a level 2 representative look through my computer in an effort to see what the problem was. They initially thought there was something wrong with my computer, but after trying seventeen ways to Sunday to gain access to the back up hard drive with no success, they realized it was failing. So I bought another one on eBay and installed it and lo and behold the SMB capability came back again!! Again this was after turning on the SMB capability in Windows (which after not working initially and then finding an older version of Windows 10 after looking everywhere. majorgeeks.com was a big help here) I realized the problem lies with the hard drive. Now all I have to do is find a way to get all of my music 🎶 🎼 and movies 🎥 and pictures off of the old back up hard drive and onto the newer one or my computer. Has anyone else tried streaming DSD? If so how has it worked for you? Did you know the Oppo BDP-103 and 105 as well as the UDP-203 and 205 were capable of this? They will play DFF and DSF cabinet file DSD music files in stereo and multichannel form. Just decided to click on one of the free music download like at Oppo’s website. This time I decided to try the 2l link and downloaded several samples of the same tracks to see if I could hear a difference. 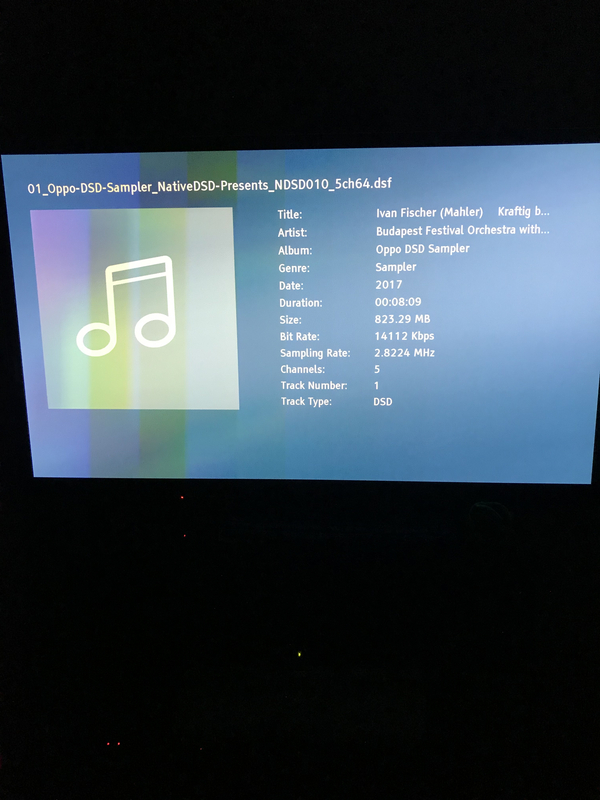 Some DXD (24bit/352.kHz) some MQA and some DSD in 2.8mhz, 5.6mhz and 11.2 mhz sampling rates. I wanted to see if I could hear a difference and also which ones the Oppo would play. 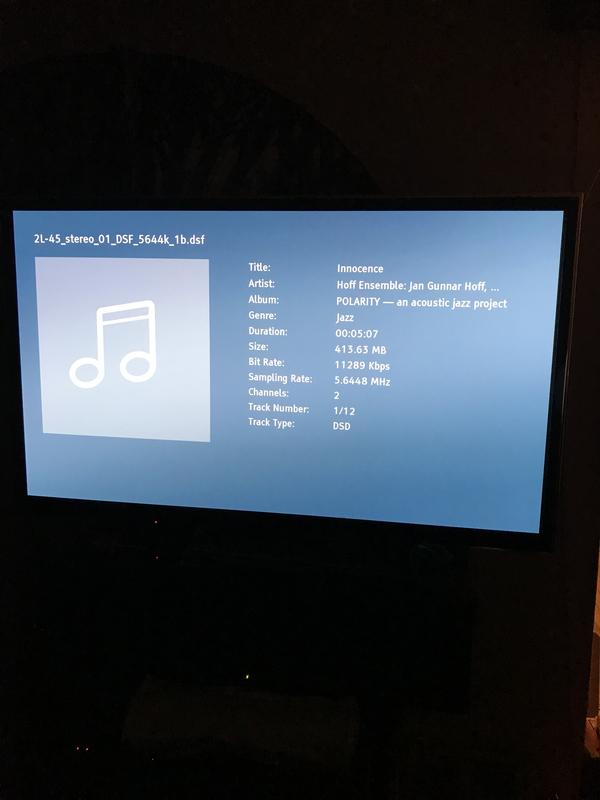 It wouldn’t play the 11.2mhz samples (quad DSD)but it would play the 5.6mhz samples (double DSD) and the 2.8 mhz samples. I thought I heard a bit of a difference between the 2.8mhz and the 5.6mhz samples. This is just preliminary, but the 5.6mhz samples seemed to sound just a tad more..........well smooth and/or natural??? Again the ONLY way to listen to these files is by either transferring them to a USB stick or to stream them via the SMB. Then there's the stereo MQA versus 2.8 mhz stereo DSD comparison which really doesn't yield much of a difference to my ears depending on the program material. On SOME music I can hear a slight difference, but on other material I cannot hear a difference. I do believe that my Oppo and my Yami AVR are able to play native DSD but I have not used them in ages for much of anything. I will try it and see, that is if I can figure it out. The jury is certainly out on this one because I have found that a lot of my "red book" stuff is superior to the "hi rez" equivalent. As I said somewhere else, I have not much patience for critical listening nor the time to really sit and listen these days. I just let stuff play. As a matter of fact, my streamer just got done with the lineup and now I have to find my phone lol. "I discovered the latest versions of Windows 10 come with the SMB capability turned off by default and how to turn it on. " This also messed with me when I got a newer version of 10. Ticked me off that's for sure! Well prior to all of that happening with the backup hard drive, after one of the Windows 10 updates I could no longer log into my computer via the SMB. Suddenly my name and password wouldn't work no matter what I did. I had no problems getting into the backup hard drive via the SMB. I contacted Oppo about it and they responded the unit doesn't support SMB 3.0. I asked if there was any kind of firmware update which could possibly solve this and they responded it was a mechanical issue and that was that. Here are a couple of the links that Western Digital sent to me to help with the issue. They will show you where to go and what to turn on in order to get the SMB working. Make sure you read the articles on why Microsoft decided to turn off the SMB. I haven't even tried to log into my computer via the SMB at this point. what I've done is to go into the second backup hard drive via the NFS in the middle of the list there in the pic with the IP address. I can stream all of my DSD from there. Does anyone have any idea how much it would cost to have my files retrieved from my old backup hard drive which is failing? I have a lot of music on there along with movies and pics and I really do not want to have to pay to download all of those DSD files again. That's confusing. Is it in fact, a "back up? I have heard that it is expensive to recover a bad drive, they have to open it up in a clean room and try to salvage the platters so i can imagine it's pretty pricey. I guess it comes down to what is cheaper, recover or replace. @honestaquarian Hundreds I would imagine. So your pc drive does not have your media files on it? I have had to reinstall Windows 10 several times over the years. Each time I do it I move all of the media to the backup hard drive. That plus the fact that whenever I wanted to stream DSD over the SMB, if I did it from my computer it would stutter and buffer and what not. Never had a problem streaming from the backup hard drive via the SMB. It has always been seamless. Then after a while I could not get into the computer via the SMB with the Oppo. I checked with Oppo and they said it doesn't support SMB3.0. So needless to say I had moved a lot of stuff over throughout the years. I am super paranoid so I have a NAS raid one backed up by another raid 1 plus a lot of my stuff on at least 3 more individual drives, a couple of which leave home with me every day. Seagate taught me a lesson a while back. So is your backup completely dead or just unreliable? It is on and can be seen by my peripherals, but when I try to go into it they see nothing in the folders now. This has been a slow and long time coming. Bit by bit it has become more and more difficult to access the files on it. I think that was part of the problem and it wasn't until I contacted Western Digital that we both realized the drive was the problem and not my computer or Windows. Initially I thought it was an issue with my computer or Windows. The guy who helped me at Western Digital initially thought the same. 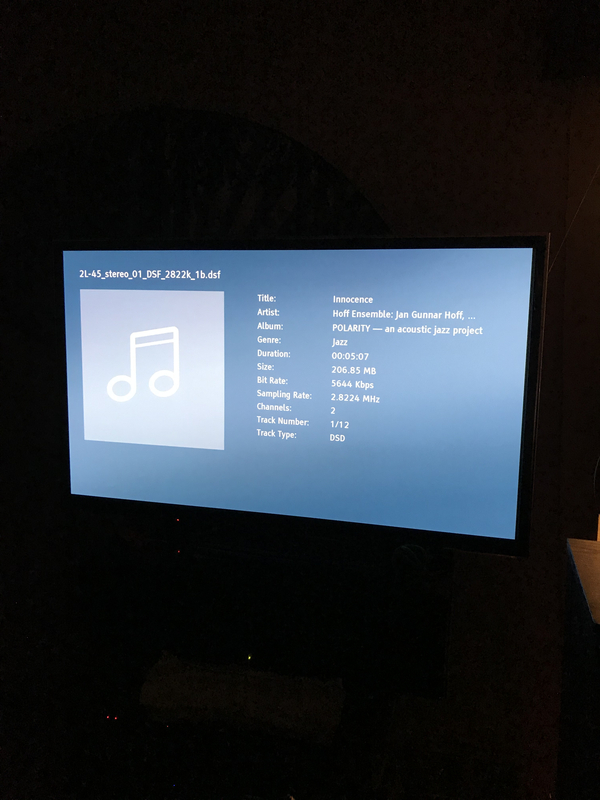 As of right now I can't even access any of the music, movies or pics on it, because the folders show as empty when I try to get into it with the Oppo, my smart TV or my Playstation 3 via DLNA. As you can see on the pic it doesn't even show up on the SMB anymore. What you're seeing is the other backup hard drive that I just got. If I knew it would cost me several hundred dollars or more to retrieve my files then I would say screw it and toss it. Back to HDtracks, Native DSD and Superhirez dot com it is!